The news that an alliance of private healthcare providers have boycotted Baidu over advertising charges this week requires a bit of background. The basic story is that the Putian chain of 8600 private hospitals has accused China's number one search engine, Baidu, of hiking the costs for its paid search 'adwords'. Like Google, Baidu auctions off its keywords to the highest bidder. In the US, Google can charge up to $50 per click through for the most lucrative keywords such as 'insurance' 'loan' and 'attorney ('Better call Saul'?). Advertisers are willing to pay these huge fees because of the high returns they get from having these keyword link straight from the search engine to their site. Likewise in China, Baidu operates a "Pay Per Click" (PPC) advertising sales operation. However, it turns out that in China about 60% of the paid search is for healthcare businesses. This means that words and phrases like 'gynecology' and 'cosmetic surgery' attract sky high adword rates on Baidu. According to one article the cost is as much as Y600 per click. Resentful at having to pay such high fees for search words, the final straw for healthcare companies came when Baidu announced recently that it would be jacking up its prices by 40% (allegedly). According to Caixin magazine, this price increase prompted the Putian Health Industry Chamber of Commerce to put out an instruction to all its affiliated 8,600 private hospitals across China to halt all paid promotional activities online. It went further, vowing to stop all cooperation with Baidu and close down all the Putian hospitals accounts with Baidu. Putian said that the advertising price increases meant that "many medical facilities have been reduced to almost working for Internet companies." However, it's worth noting that Putian is only a loose association of healthcare providers and they are bound by clan ties more than business contracts, for whatever that is worth.The chamber of commerce called for 'unity', making them sound more like a trade union (or cartel). 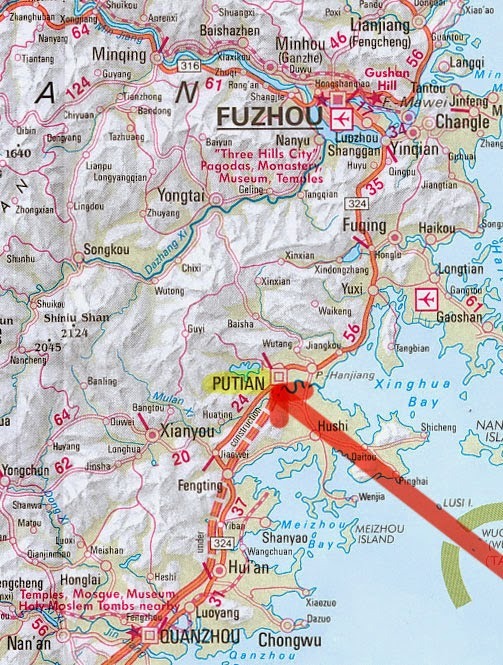 It's worth pausing here and explaining who and what Putian is/are. The Fujian town has become a byword for private hospitals in the same way that Maotai is associated with hard liquor and Jingdezhen is for crockery. According to this article, the town has spawned (pardon the pun) a nationwide network of healthcare entrepreneurs based on local expertise in private VD clinics. The story goes that a former barefoot doctor called Chen Deliang became successful in the 1980s by selling treatments for ailments that the hospital system wasn't interested in - firstly scabies, then later venereal diseases. Other Putian businessmen followed his lead and they have spread out across China starting up clinics and hospitals that cherry-pick the lucrative but low risk medical treatments - fertility treatment, plastic surgery and dental care are said to be favourites. Putian people are now said to control up to 80% of China's private healthcare clinics. Most of these attract business via online advertising, hence the Baidu connection. Putian people are also said to be extremely shrewd in business, and thus it is not surprising that when Baidu announced they would be putting up the cost of paid search words to as high as Y999, the Putian entrepreneurs spat the dummy. The result is a standoff between two giants - Baidu the internet search behemoth and Putian, the biggest network of healthcare providers and thus some of Baidu's most important advertisers. Some say that Putian affiliated clinics account for half of Baidu's 26 billion yuan annual advertising revenue (I find that hard to believe - other estimates put it at a more realistic 6-10%, still, not to be sniffed at). Baidu, however, is saying that the Putian complaints are not about price increases but about the increasingly strict enforcement of advertising rules about dodgy medical advertising. The Xi Jinping government has been making a lot of noises about cleaning up unethical advertising and promotions - much of which is related to quack health cures and shonky clinics. According to Caixin, the search engine Baidu is now seeking to distance itself from the disreputable end of the healthcare sector and align itself with more reputable medical providers. In a way it echoes Google's recent moves to tidy up its medical/health search functions and give more ranking to evidence-based treatments. Only in China this comes with a price - Baidu's share price has taken a hit - and Putian's reach to healthcare consumers has been curtailed. My take on this? Given that the Chinese government is seeking to increase the influx of social capital (aka private investment) in healthcare to about 20% of all hospitals, they must be daft to estrange Putian. Why not find a way of working with them instead?